These offers are free with the purchase of the Focus Raven Rookie KN (20) (2016) Bicycle. The Focus Raven Rookie KN (26) (2016) is equipped with a Shimano Tourney Drivetrain and the sihfting is controlled by Shimano EF-51 shifters. The Focus Raven Rookie KN (26) (2016) has front and rear rim brakes. The Price of the Focus Raven Rookie KN (20) (2016) is Rs.21990. The Focus Raven Rookie KN (26) (2016) is an entry-mid level MTB with great, value for money components.It is an ideal bicycle for young riders looking to tackle moderate - mild trails and mud paths, as well as city riding. Focus is a German Bicycle Company founded in 1991 by three times Cyclocross World Champion Mike Kluge. Focus prides itself on its racing heritage. 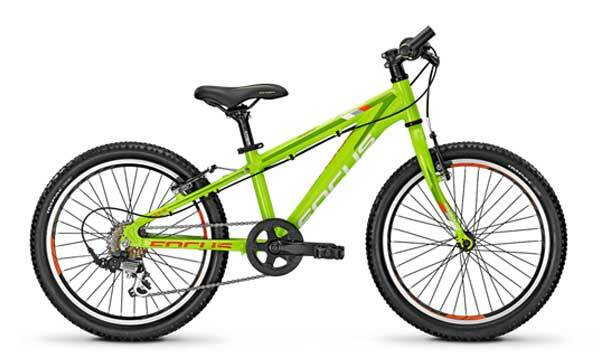 Focus has a premium range of MTB, Road and Hybrid Bicycles in India. 2. In what condition will I get the Focus Raven Rookie KN (20) (2016)? 6. How will I know if Focus Raven Rookie KN (20) (2016) will fit me without riding it? 7. How long will it take for me to receive the Focus Raven Rookie KN (20) (2016)?